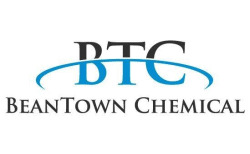 BeanTown Chemical, Inc. @ ChemBuyersGuide.com, Inc.
BeanTown Chemical, Inc. (BTC) is a privately-held company founded in 2013 that manufactures and distributes a line of specialty chemicals, including organics, inorganics, and metals. The company�s corporate headquarters and main distribution center is located in Hudson, NH. BTC currently offers over 7,000 products that are sold for research and development primarily to the pharmaceutical and chemical industries, government institutions, and academia. Products are available in pre-packaged catalog sizes, and in semi-bulk and bulk quantities. To further meet our customers� needs, we also offer custom synthesis and special packaging services.